Home »Posts Tagged "Jewish Holiday"
Dedicated to our Jew friends. This happy graph will teach you how to cook 7 delicious dishes compliant with Tu Bishvat etiquette. 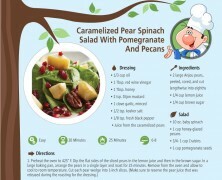 We know it’s a bit outdated for 2013 but you can keep it and spread the recipes around before the next Tu Bishvat celebration.